New South Welshman James Nitties has taken the second round lead at the South Pacific Open Championship. 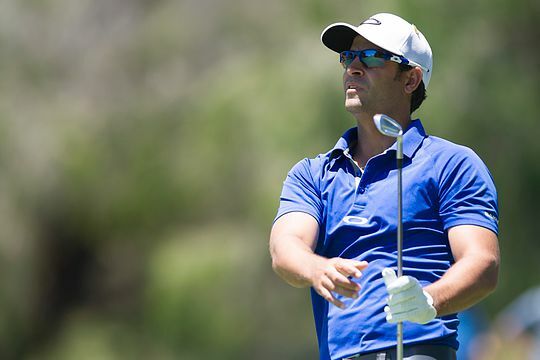 After a tough year competing on the Web.com Tour, Nitties flew home to work with his coach and took the opportunity to put into play his practice at the South Pacific Open. Paying dividends, Nitties leads the tournament on 10-under the card after rounds of 65 and 67. Sitting a shot further back is the in-form, Matthew Millar who believes if he continues with his steady style of golf, he could be the man to beat this week. On 7-under the card after an even par round is overnight leader Daniel Valente who just couldn’t find the magic from yesterday despite playing good golf. He is joined by 2012 Australian PGA Champion Daniel Popovic who is playing just his first tournament since breaking his ankle five months ago. The second round cut was made at 4-over the card with 52 professionals and 4 amateurs making the final two days.